Kathryn McKee is McMullan Associate Professor of Southern Studies and English. She has a Ph.D. in American literature from the University of North Carolina at Chapel Hill and joined the UM faculty in the fall of 1997. 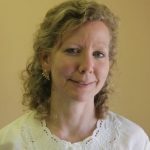 Her research interests include the nineteenth-century U.S. South, particularly the lives of women during the postbellum period. She is co-editor, with Deborah Barker, of American Cinema and the Southern Imaginary (2011) and author of Reading Reconstruction: Sherwood Bonner and the Literature of the Post-Civil War South (2018). 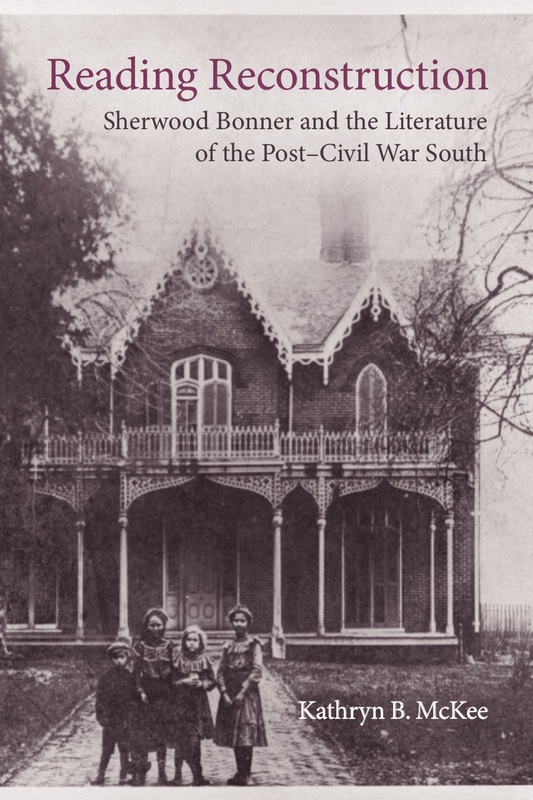 Reading Reconstruction: Sherwood Bonner and the Literature of the Post-Civil War South. Forthcoming LSU Press, Southern Literary Studies Series, Fall 2018. “Interlocality and Interdisciplinarity: Learning from Existing Models of the Global South.” Co-authored with Kirsten Dellinger, Jeffrey Jackson, and Annette Trefzer. In Navigating Souths: Transdisciplinary Explorations of a U.S. 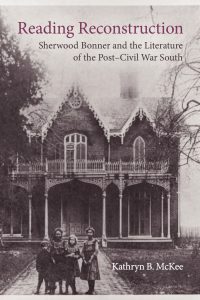 Region, edited by Michele Coffey and Jodi Skipper, University of Georgia Press, 2017. 153-166. “Introduction: The Global South and/in the Global North: Interdisciplinary Investigations.” Co-edited with Annette Trefzer, Jeffrey Jackson, and Kirsten Dellinger. Special issue of The Global South 8.2 (Fall 2014): 1-15. Press of Mississippi, 2013. 104-130. Afternoon.” in Still in Print: The Southern Novel Today, Ed. Jan Nordby Gretlund.Columbia: University of South Carolina Press, 2010. 43-57. “Local Literatures, Global Contexts: The New Southern Studies.” Co-authored introduction (with Annette Trefzer) to special issue of American Literature, 78.4(2006): 677-690. “Writing Region from ‘the Hub’: Sherwood Bonner’s Travel Letters and Questions of Postbellum U.S. Southern Identity,” Legacy, 22.2 (2005): 126-143.